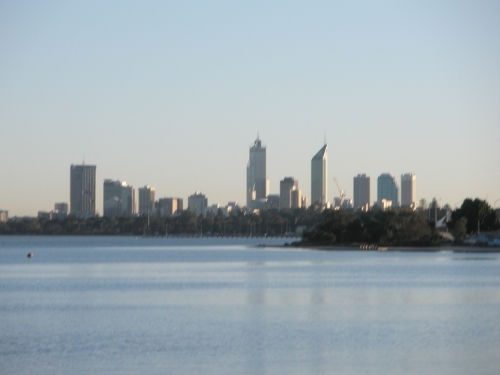 The first time i went to Perth Australia it was as a exchangestudent with Rotary. 2. I didnt want to go to Sydney were everyone went. I wanted to go to a Place that was different and uniqce. 3. I wanted to go as far away from Sweden as I could! I took me awhile to convince everyone to let me go. I was just 16 when i left, and that was scary for many people. That I wouldnt make it, that I wouldnt be able to take care of myself and that I would get homesick and want to go home. Yes it cost a lot of Money so I can understand a Little. When I was at the Airport, all packed and meet all the other exchangestudents that i was going to travle with to Australia it started to sink in. I wouldnt see my family for a year. My mom and sister was crying the whole time and I felt really bad for putting them through this. But this was something I needed to do for myself. If I didnt I knew that I would regreet it in the future. I wantedd something more than what Sweden could give me. I wanted to start over and become someone els. When the plane lifted I was just happy!